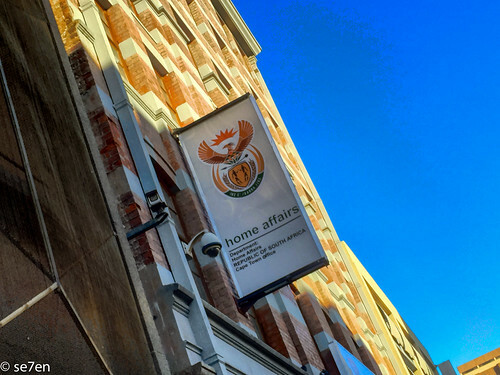 I have had so many questions about getting a passport lately… that I thought I would write a blog post about my experience with Home Affairs. As most of you know I am going to be traveling in a couple of weeks and I am going to need a new passport. In fact our whole family needs to renew their passports, but one small step at a time. In order to renew your passport you will need an i.d. book (identity book)… and if an “overly helpful” child perhaps put your i.d. book through the wash… then that is where you have to begin. You have to get an id book before you begin the passport journey. Get yourself a valid I.D. Book: This will involve a trip to a local Home Affairs office, once to apply and the second time to collect. A couple of months back I achieved this. For a Passport You Will Need: Just two things: Your ID Book and R400.00 cash. They only work with cash, and you have to have the right amount. You do not need photographs – they will take them there. And in the past you had to have a black pen with you… those days are over and everything is done electronically. For your mental health you might need a book to read and I noticed quite a few folk bought folding chairs along. Pick Your Office Carefully: The staff were extremely helpful and friendly at both offices I went to last week. They both had security officials, who did a whole lot more than security… they streamline the crowds into the right channels – those collecting vs. those applying. And they were very good at getting mom’s with new babies and the obviously elderly and disabled to the front of the queue. 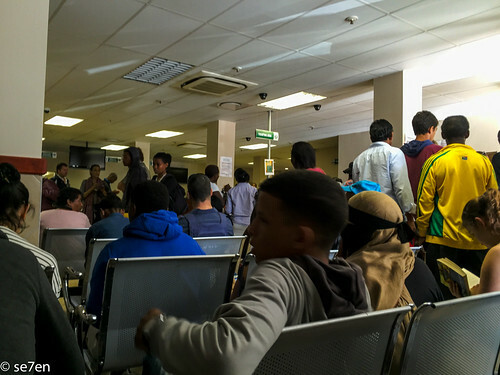 Unfortunately at the Wynberg Office they were not so good at stopping folk getting to the front desks and asking questions… which means that by the time you got to an actual desk, with a person behind it and it is you turn… four or five other folk will be standing at the desk and asking questions like “Am I in the Right Queue?” “Can you quickly get me my ID book, I have been waiting for hours.” Those folk jumping the queue make it impossible for the person at their desk to get the job done, just saying. You Need A Very Early Start: Each office can only process 200 passports a day. Last week I got to the Wynberg Office and stood in a queue for an hour and a half only to discover that I was 201 for the day and so it was all for nothing. the next day I was better prepared and tried the office in the city… I arrived at the office at 7:00 in the morning and the queue was down the block and later in the day, when I eventually got my “number allocation” I was 165 in the queue… Basically getting their after opening time is too late you will never be one of the “200 for the day.” That being said… they are not doing anything magical here and if you were at a retail store and they only processed 200 transactions a day they would quickly be out of business. 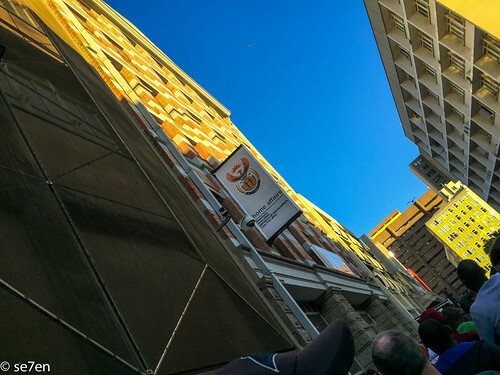 It took from 7:00 am to 7:45… to be put into a queue and from 7:45 to 8:49 to get into the building. You Will Have To Queue and Queue: At 7:45 the security staff started to stream the queue into those folk collecting and those folk applying for documents, At 8:00 am they started to let folk into the building and I finally made it into the building at 8:49 a.m. I was optimistic, that “once in” the process would run smoothly. Once inside we were taken to the first floor and given a slip of paper telling us all to go to counter 23, on the ground floor. Counter 23 is the one and only cashier… which means that all the streaming into different queues outside is pointless… because almost everyone is there to pay for something and so has to pass by counter 23. Counter 23 may be the beginning and the end of all hope in making progress. because, even though you can only use cash and even though you have to have the correct money to pay… it takes at least four minutes to process each transaction. Do the math – four minutes per person means fifteen people an hour. 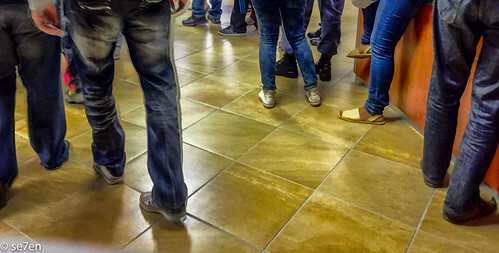 So at counter 23… it takes four minutes to check that you have a slip of paper saying counter 23 on it, and take your cash and give you a receipt and that very precious number – saying where you are in the passport queue. At this stage I discovered that I was #165… and I was indeed relieved that my early start had paid off. Spent from 9:05 to 10:05 waiting at counter 23. The Photograph: The next step in the process is to get your photograph taken, but first you have to go through the front desk to check that you have a receipt from counter 23. Then you sit randomly in a corner of the ground floor and numbers are screamed across the floor… eventually you hear your number and head for the kiosk, where it takes literally 15 seconds to have your photo taken. It took from 10:05 to 10:45 in the queue waiting for the almost instantaneous photograph. Nearly Done: From there you are sent to the first floor… where you stand and wait again… this time your number will eventually appear on a screen and a mechanical voice will call your number to one of many counters. A friendly staff member will greet you and if the photograph on the screen does not match your details then it is time to say so. You will take a moment to give then your finger prints and another moment to verify your personal details… that they actually have – because remember you have an i.d. book already. Waited for a counter from 10:45 to 11:37. The SMS: As you leave the building… I dare not mention that someone had thrown up all over the stairwell at this stage… but aside from that… As I was leaving the building… a cheery little sms arrived to say thank you so much for applying for a passport. Out the door, with receipt in hand and sms beeping at 12:03. The process is long and arduous, folk in the queue develop a sense of camaraderie and the staff were at all times exceptionally helpful and they were getting on with the job at hand. But for all the friendliness the waiting in queues is simply unprecedented. There has to be a better way – all that needs to be done is pay a specific amount of money, have your photo taken, your fingerprints done and show your id document. Basically four things. If you had to do four things in a queue at your local supermarket – you would need to empty your shopping cart, pass the items through the scanner, pay for the items and then pack the goods into bags. Shopping is a four step process too and I have never met a store that could only process 200 transactions a day… not to mention a store that takes a couple of hours to process your transaction. I have to say that just leaves me to receive another sms in a couple of weeks… and I will return at the crack of dawn and stand queue after queue to collect the priceless passport. And no I am not about to repeat the process eight more times to renew the passports of my children… I simply don’t think I can endure it. At the end of last year I applied for a passport at Sun Valley mall at a visiting home afairs office which was there every Tuesday from 10am! A large truck! The whole process was an hour. Collected from them a few weeks later, 15 minutes. This would suit your family. Hay Stephanie, that’s where I got my I.D. Book… and it was fairly harmless, but they no longer go there and we had to head to Wynberg to collect it. Of course I was trying to avoid the Wynberg queues and so elected for an old I.D. Book… but should have just gone to Wynberg for the card because we ended up in their queues anyway. You live and learn. I cannot think why they stopped taking the truck, it was always so busy and there is obviously a need for an office in the South Peninsula!!! No Cat, don’t tell me that!!! We applied for an unabridged birth certificate for our youngest when he was born… After standing in the queue and phoning and phoning… we eventually gave up. We can’t travel with him, can you believe this… and five years down the line I have no idea where the slip is to prove we even applied. Le sigh!!! Oh my word! What a mission :(. I think I’m going to have to take a few days off over June July holidays to get us sorted out :'(. Thanks for sharing though. It was a very helpful post. Hay Tami, It is definitely not a quick option and will require at least day’s attention to apply… and then another day to collect. Some folk have got lucky and said they were out in an hour or two and other folk have told me Malsmbury was a good option, sometimes… Wishing all the best luck!!! Oh my goodness, brings back memories! 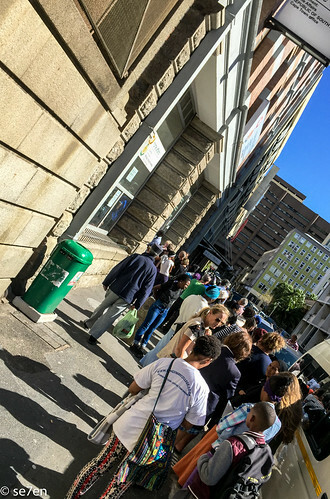 Over here we have to apply via the post for new SA passports a YEAR in advance, IT TAKES THAT LONG! Costs a pile of dollars, but at least we are not standing in those ques! Sending you strength and fortitude!! Oh Jo, I feel your fear!!! Always having to head in with a newborn to register them. We managed it eight times – sometimes it went well and sometimes not so much. I did notice that mums with new babies went straight to the head of the queue every time, without question. You should get favorable treatment and lets face it… you deserve it!!! Oh wow Corli, A year in advance sure requires a lot of thought and effort. One really has to keep these things up to date but the hassle of it all is so enoromous!!! Hope you guys all have a great weekend!!! My friend, I adore this post. I’m just picturing you timing each stage, furtively taking a photo, and then at the end, skipping out of there! My favourite line was the last line of the post and I don’t blame you one bit! It will all be worth it, for you, when you’re enjoying Zambia. Thursday was the day to take our third to get her ID but I couldnt face it, having stood at the traffic department for most of Wednesday with two doing drivers tests and the subsequent receiving the license and rebooking another try for each in turn. So we didn’t do Home Affairs on Thursday, there is only so much I can handle 🙁 next holidays it will have to be. Oh Marcia… Your comment leaves a smile. 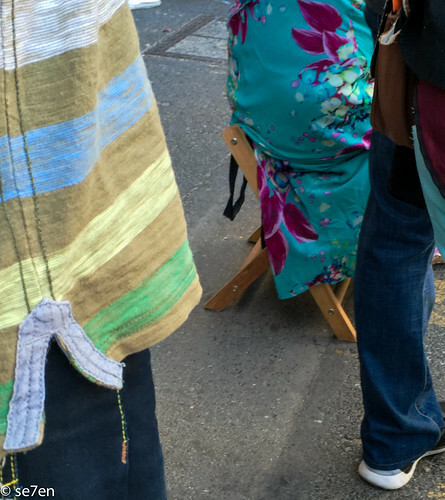 I never intended to write a blog post… no photographs on day 1. Though I must say being ticket number 201 for the day was a slightly bitter pill to swallow. On the second day… I couldn’t believe the queue so early in the morning, so just snapped a pic… but by the time it took so long to get in the door I realised I would be interested to see how long I would be – having no idea the number of hours I would be documenting… anyway I started to write down how long I had been in each queue and settled down to read on my iphone… boredom led me to take the odd photograph… and then well so many folk asked me: “Do I need photographs?” and so on… that a blog post emerged. And I may not have skipped so much as slumped to the nearest coffee shop, since in my haste I left home without anything to eat or drink… you live and learn and I will take supplies next time. 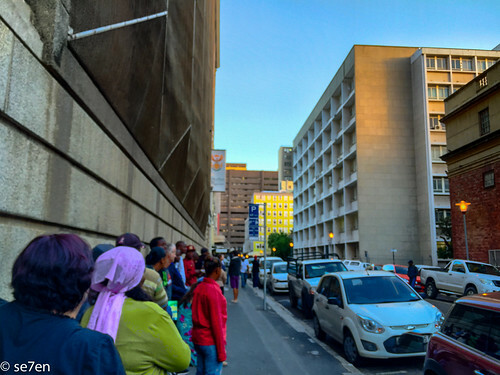 My poor kids may only discover foreign travel once they are old enough to stand in the queue themselves… which isn’t very nice of me and goes against everything I believe about kids and travel – but seriously!!! Oh Wendy… That is not encouraging!!! 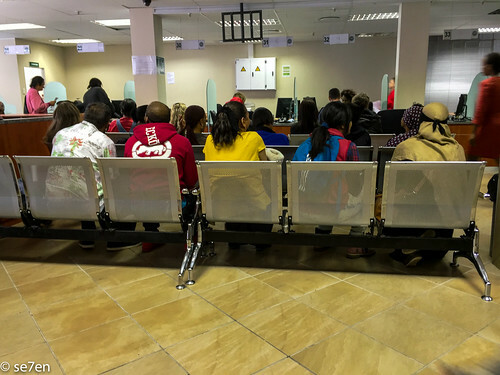 My first is chomping at the bit for his learner driver – understandably, and I realize I am going to be standing in Home Affairs queues and Traffic Department queues for the rest of eternity. By the time I collect my passport it will be time to start the I.D. Process for Hood 2… I haven’t even gotten to the traffic department yet. I think our first is the only one who is going to enjoy the privilege of me alongside them and thereafter they can go with the next sibling down… they don’t actually need a parent with them – surely not!!! And this would be a great opportunity to mastering paperwork and such like. You cannot fail – stand in a queue and shuffle along, while reading a book for a number of hours… I am sure my kids can manage that. Hope after all that, you have a most relaxing weekend!!! They announced in 1 Oct 2015 that three large banks can issue passports and new Identity cards! Thanks Lee, I am going to have to check that tip out, thanks so much.